Yesterday, North Dakota Tech-Bro-In-Chief Doug Burgum posted this picture of him staring deeply into the eyes of the next Vice President. 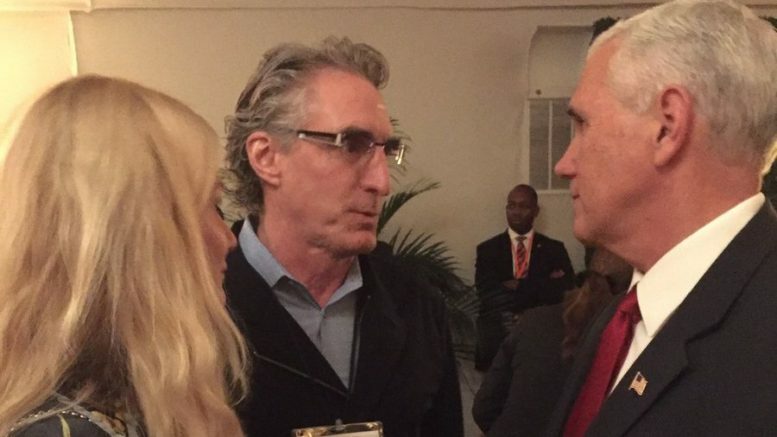 Burgum said he “enjoyed connecting” with Mike Pence, who got famous for signing a “religious freedom” bill in Indiana that allowed businesses to deny service to people for being gay. We’re looking forward to what these two brilliant men can accomplish together. Be the first to comment on "Doug Burgum and Mike Pence Are Bros"